After a decades-long drought, fans of Tsuburaya Productions’ Ultraman franchise are finally seeing a veritable monsoon of Ultra Series releases in North America. Over the past few years, the streaming service Crunchyroll has licensed 11 different Ultra shows, including simulcasts of the newer series like ULTRAMAN GEED (ウルトラマンジード, Urutoraman Jiido, 2017). Tsuburaya has also partnered with William Winckler Productions to create all-new English language dubbed and subtitled versions of the most recent Ultraman feature films; the English language ULTRAMAN GINGA S THE MOVIE (劇場版 ウルトラマンギンガＳ 決戦! ウルトラ10勇士! !, Gekijoo-ban Urutoraman Ginga S Kessen! Urutora 10 Yuushi! !, 2015) and ULTRAMAN X THE MOVIE (劇場版 ウルトラマンＸ きたぞ！われらのウルトラマン, Gekijoo-ban Urutoraman X Kita Zo! Ware-ra no Urutoraman, 2016) both played in theaters in 2017, and dubs of three more films are currently in the works. Last, but not least, the TOKU television network has broadcast several Ultra shows for the first time in America. 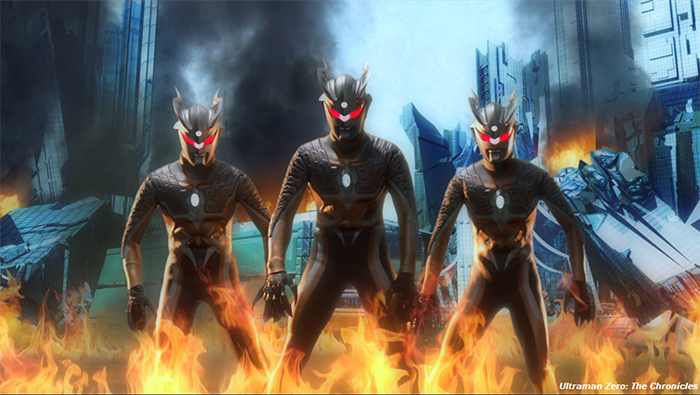 Today they announced three new premieres for August: NEO ULTRA Q (ネオ・ウルトラQ, Neo Urutora Kyuu, 2013) is a modern version of the 1966 show that launched the Ultra Series. 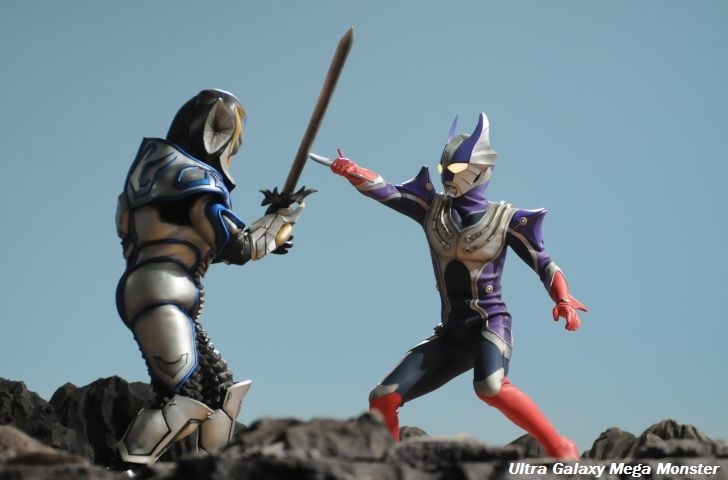 ULTRA GALAXY: MEGA MONSTER BATTLE (ウルトラギャラクシー大怪獣バトル, Urutora Gyarakushii Daikaijuu Batoru, 2007-2008) and its sequel series ULTRA GALAXY: MEGA MONSTER BATTLE- NEVER ENDING ODYSSEY (ウルトラギャラクシー大怪獣バトル NEVER ENDING ODYSSEY, Urutora Gyarakushii Daikaijuu Batoru Nebaa Endingu Odessei, 2008-2009) will air on TOKU as ULTRA GALAXY MEGA MONSTER. 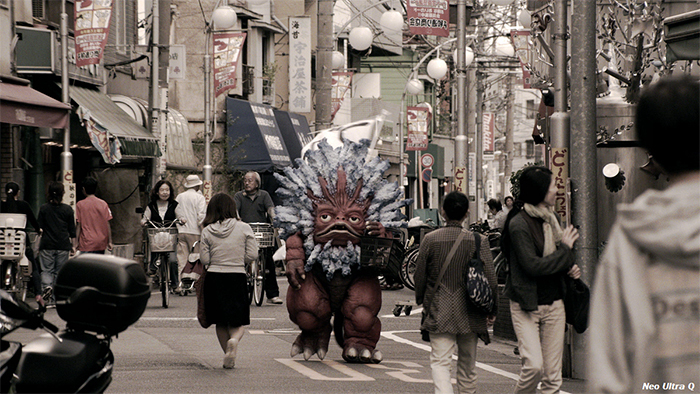 The shows focus on battles between classic monsters from the franchise, and lead into MEGA MONSTER BATTLE ULTRA GALAXY: THE MOVIE (大怪獣バトル ウルトラ銀河伝説 THE MOVIE, Daikaiju Batoru Urutora Ginga Densetsu THE MOVIE, 2009), one of the films now being dubbed by Winckler Productions. TOKU will bring ULTRAMAN ZERO THE CHRONICLE (ウルトラマンゼロ THE CHRONICLE, Urutoraman Zero THE CHRONICLE, 2017) to America with the slightly modified title ULTRAMAN ZERO: THE CHRONICLES. The series uses a mix of new and older material to show the adventures of the son of Ultra Seven. The TOKU network is carried by several satellite and cable television providers in the U.S. It is also available for Amazon Prime members on Amazon Channels. ULTRA GALAXY MEGA MONSTER. Photo courtesy of TOKU. © 2007 Tsuburaya Productions Co., Ltd / Bandai Co., Ltd.
TOKU, the only 24/7 live and on demand television network dedicated to eye-catching anime, popular live-action titles and cult classics from Asia dubbed into English, announced today the U.S. premiere of two adrenaline-packed Thai films, and four gripping television series, including three of the most highly-anticipated tokusatsu titles in the Ultra series — NEO ULTRA Q, ULTRA GALAXY MEGA MONSTER and ULTRAMAN ZERO: THE CHRONICLES. Throughout the month, TOKU will feature for the first time in the U.S., six exciting titles that promise to capture the viewer’s attention from beginning to end. Set in modern-day Bangkok, GHOST DAY tells the story of a television series production crew, who decided to film in an alleged haunted location, provoking many terrifying paranormal events. PAHUYUT FIGHTING BEAST. Photo courtesy of TOKU. 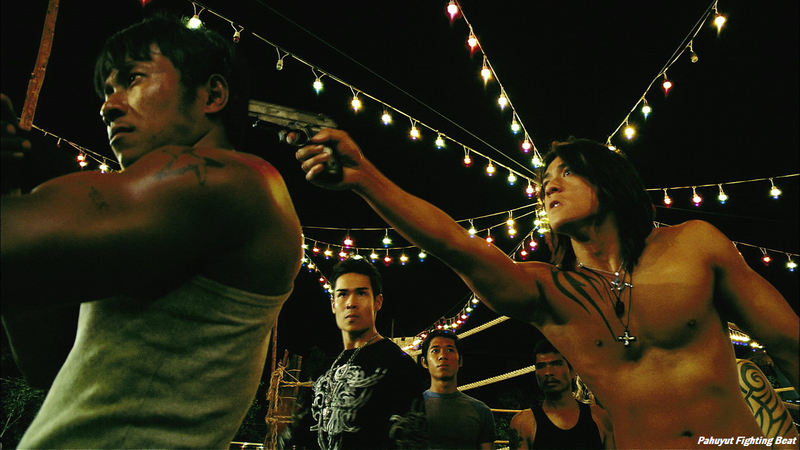 PAHUYUT FIGHTING BEAST follows the story of a group of young Muay Thai experts who are forced to use their fighting skills to protect themselves and their mentor’s daughter from a mortal threat. PROJECT X is a 12-episode Thai series about eight teenagers who were recruited by a mysterious man to find the truth about some of the most puzzling and peculiar unsolved cases. Based on the fan-favorite classic ULTRA Q, this 12-episode series tells the story of three brave friends who risk their lives investigating bizarre monster appearances, strange ecological catastrophes and paranormal events. ULTRA GALAXY MEGA MONSTER is an adaptation of the popular video game MEGA MONSTER BATTLE. This 26-episode Japanese series follows the story of a fearless space crew who fights against powerful monsters in a distant planet across the universe. One of the latest installments of the popular Ultra series. ULTRAMAN ZERO: THE CHRONICLES is a 25-episode tokusatsu television series that follows the adventures of Ultraman Zero, the son of the legendary Ultra Seven, as he fights against some of the most powerful kaiju humanity has ever seen. TOKU is owned and operated by Olympusat, Inc., and it’s currently available on Amazon Prime, Armstrong, AT&T U-verse, Cablevision Optimum, Claro TV, Comcast Xfinity, Hotwire Communications and MCTV. For more information on TOKU’s programming, including tune in dates and times, please visit tokuhd.com. TOKU is a unique network dedicated to a wide variety of eye catching anime, popular live-action titles and cult classics from Asia you have to see to believe. TOKU is owned and operated by Olympusat, Inc., and is currently available on Armstrong, AT&T U-verse, Cablevision Optimum, Claro TV, Comcast Xfinity, Hotwire Communications and MCTV. TOKU – BE REANIMATED. Olympusat has established itself as a leader in the television and media space, providing content and technology to our growing list of partners and clients. Our extensive portfolio of networks includes 100+ HD and SD Spanish and English language television networks, featuring the top-rated Spanish-language movie channel, Cine Mexicano, and the popular Ultra HD Plex. We also offer the distinctive Faith & Family and Specialty Suite, representing some of the biggest networks in the industry. Recognizing the ever changing landscape within Media and Entertainment, Olympusat has launched VEMOX, a white label OTT Solution. VEMOX is a cost efficient and reliable B2B carrier-grade OTT platform, developed for operators in the U.S. and Latin America. The platform combines technology and content (100 LIVE Channels and 30,000+ hours of VOD content in English and Spanish), creating an attractive and customizable OPEX based turnkey solution.